After a magnificent victory in the first ODI motivated Bangladesh embark on a new mission as they aim to wrap up series as they face visiting Zimbabwe in the second ODI of the three-match series scheduled to be held tomorrow (Wednesday). 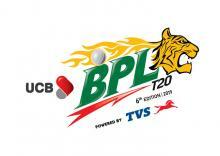 The day/night match kicks off at 2.30 pm at Zahur Ahmed Chowdhury Stadium in Chittagong. If Bangladesh able to win the second ODI against Zimbabwe, it will be their twelve straight victories in a row over the visitors. The first ODI saw opener Imrul Kayes’s timely century and Saifuddin’s maiden half century helped Bangladesh to register a 28-run victory over Zimbabwe. Imrul, the hero of the first match, composed his career best knock of 144 and also shared 127-run stand with number nine Saifuddin who contributed exact 50 to steer Bangladesh to post a competitive total of 271. 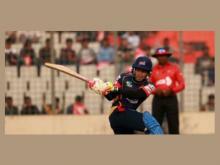 Imrul was also involved in three crucial stands, the last of which was a rescue act that turned a difficult position into a dominant one. Bangladesh had lost two wickets in the first six overs when Liton Das and debutant Fazle Mahmud fell in the same Tendai Chatara over. Imrul and Mushfiqur Rahim then added 49 runs for the third wicket to revive the Tigers’ innings. After Mushfiqur fell in the 15th over, Imrul and Mohammad Mithun batted in a higher gear to add 71 runs for the fourth wicket. Mehidy Hasan Miraz also proved effective in the first match as he claimed three wickets. Nazmul Islam also took two wickets in the first match. Fazle Mahmud, who handed ODI debut in the first match agaianst Zimbabwe, failed to open his accountand he should give another opportunity at least in the second ODI. Saifuddin has proved his utility as a lower order batsman. His half century should give him required confidence for bowling well also. In the first match only three batsmen Imrul Kayes, Saifuddin and Mohammad Mithun made useful contribution. Skipper Mashrafe Mortaza also expecting the same performance from the duo in the second ODI against Zimbabwe. For Zimbabwe, it will be a must win game for the visitors. Apart from Sean Wlilliams unbeaten 50 runs in the middle neither any top order batsman able to score big during the chase and the visitors’ batsman must have to do something special in the second match to stay in the series. However, Kyle Jarvis led the way with all-round show, finishing with four for 37 and scoring 37 runs during the Zimbabwe’s chase. Chatara took three wickets. Till the 40th over, Zimbabwe had done splendidly but all the good work came a cropper in the final ten, not helped in the slightest by a couple of dropped catches and misfields on the boundary. Zimbabwe must have to take a look of the maters and shuoldnot repeatthe same mistakes in the second mattch. 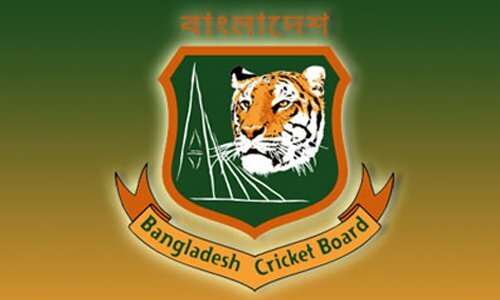 Squad: Bangladesh – Masrafe Bin Mortaza (Captain), Litton Kumer Das, Imrul Kayes, Nazmul Hossain Shanto, Mushfiqur Rahim, Mohammad Mithun, Mahmud Ullah, Ariful Haque, Mehidy Hasan Miraz, Mustafizur Rahman, Nazmul Islam Apu, Rubel Hossain, Abu Haider Rony, Saif Uddin, Fazle Rabbi.